Come Visit Our Showroom at 166 Old Marlton Pike Medford, NJ 08055 We are driven to the highest quality of design, the greatest level of expertise, and tireless dedication to our customers. We offer a wide selection of solid-wood quality cabinetry from industry leaders Wolf Designer, Schrock, Kabinart, and Bertch. 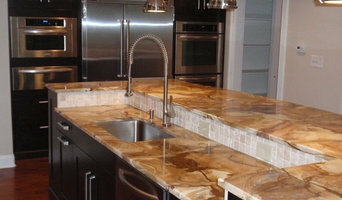 Our combination of quality cabinets and competitive pricing makes us the ideal choice for your kitchen or bath renovation. Our team of dedicated professionals can transform any kitchen or bath into a space that both accommodates your lifestyle and adds style, luxury, and sophistication to your home. James Wehner began his construction career in the early 1980s working for premier contractors and home builders. After honing his craft, Jim established AJ Wehner General Contracting, LLC in 1989, where he quickly built a reputation for reliability and craftsmanship in the South Jersey and Philadelphia areas. Jim and his crew of foremen and tradesmen are dedicated to providing each customer with personalized, unsurpassed service. Jim’s list of highly satisfied clients continues to grow year after year. Building relationships and achieving 100% customer satisfaction are the hallmarks of our business philosophy. This means reliability, honesty in pricing, and completion of your project “on time” meeting the highest quality standards. Our outstanding record of customer service is reflected in our complaint free record with N.J. Consumer Affairs as well as an A-1 rating with the Better Business Bureau (zero complaints in 20+ years!). We’ve been called everything from perfectionists to lifesavers. Whatever you call us, the Closet Gallery team has a passion for organization and it’s a passion tha makes us great at our job! My name is Teri Fisher, and I am the owner of the Closet Gallery. I have been designing and organizing homes and home offices since 1990. My unwavering commitment to the highest standards of quality and service remain unmatched. Together with my dedicated team of professionals, we will strive to provide you the highest quality product available at the lowest prices. From development and design through precision manufacturing and installation, our sales and service group will be focused on your satisfaction. We pride ourselves on the relationships we build with our customers. When you are ready to get organized by adding more space to your home, open the door to the Closet Gallery. Take advantage of your chance to thrive in an atmosphere of order and elegance. Discover how creating more space in your home ultimately creates more space in your life! 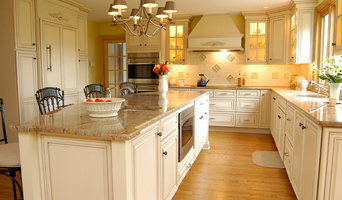 We are a NJ based family-owned wood flooring retail and installation company. Our model is to operate an installation company that does excellent work, as scheduled, and responds to customer's needs quickly. In 1985, Dan Higgins Wood Flooring Warehouse was founded by Dan Higgins at 22 years old. Dan Higgins started installing floors himself; 30 years later, we serve customers in New Jersey, Pennsylvania, and Delaware out of two showrooms. If you have a warranty issue, we will handle the claim for you. Jim Cherubino founded Distinctive Wood Work in 1995 while building furniture and custom cabinetry in his garage. After many years in the industry, today we still build our projects by hand with much thought, planning, and pride. We design, manufacture, finish and install all of our own projects, and we work with designers and architects. Projects usually start with a visit to your house, where ideas are discussed and measurements are taken. A drawing and estimate are then provided, and from there the design, features, and options can be finalized. We offer many different finishes, including paint, stains, glazes, distressed, rub-through, crackle, and more. We have a capable and experienced staff available to assist you with any of your technical questions, and it is our pleasure to serve your engineering and fabrication needs. By partnering with the best suppliers we are able to provide you with the largest selection of top quality materials on the market. Your only limits are in the reach of your imagination. Even if you're the kind of person who makes everything a DIY project, there's always a point when a home remodeling or decorating project could use a professional set of eyes. Whether you are redoing your backyard, need some help planning your living room or can't figure out where to put the kitchen sink, a quality home professional in Medford, NJ can help you do it right. Hiring a qualified Medford, NJ home professional puts their years of schooling, certifications, training and experience right at your fingertips. But before you start sending out dozens of emails and making phone calls, sit down and think about your project. What's your budget? What is the scope of your project? 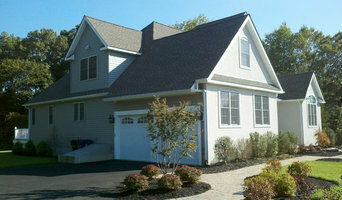 Will you need more than one type of professional to complete your home improvement project in Medford, NJ? Can you afford to complete the full project now, or should you tackle it bit by bit? Once you've settled on your project’s priorities, budget and scope, it's time to start researching Medford, NJ home design professionals. Don't sell yourself short and settle on the first professional you set your sights on. Make sure that you're working with someone local, who can get to the jobsite easily and efficiently. Look into the person’s reviews, ask to speak with former clients and to see previous jobs in person. Take a good look at their portfolio photos: How similar are these projects to your own? Be honest — that mansion might look beautiful, but it might not have a lot in common with your little bungalow. Reach out to multiple professionals — especially for larger projects — and don't settle for the first bid you hear. Comparing multiple Medford, NJ professionals' bids and experiences can help you find the one that’s best for you. Ask a lot of questions now, so you won't have unexpected answers later. Find a home design professional on Houzz. Narrow down your search by type of professional and location. Browse Medford, NJ portfolio photos, read client reviews and contact each Medford, NJ professional for more information. Check out the information in the specialized professional sections too for tips on how to hire the right professional for your project.